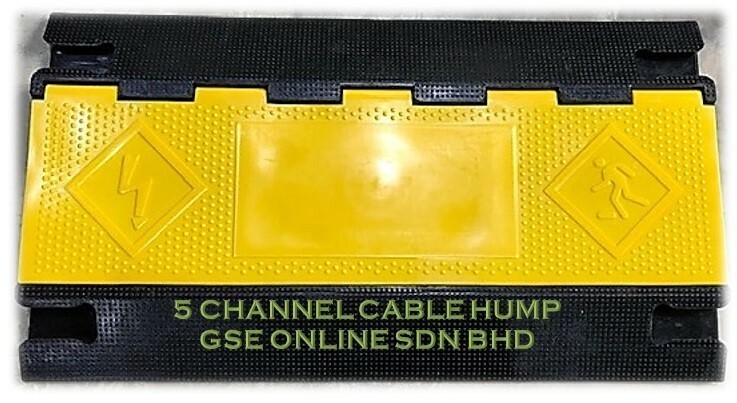 Rubber Cable Humps with PVC cover - suitable for cables and hoses with 3 ( cable size : 50mm H x 60mm W ) & 5 Channels ( cable size : 30mm H x 35mm W ) . 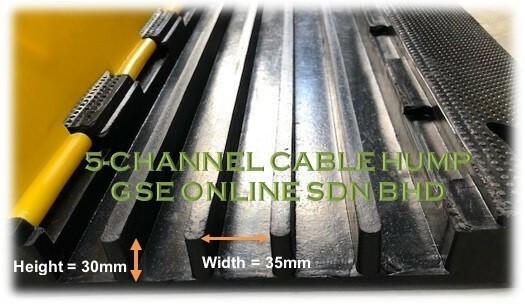 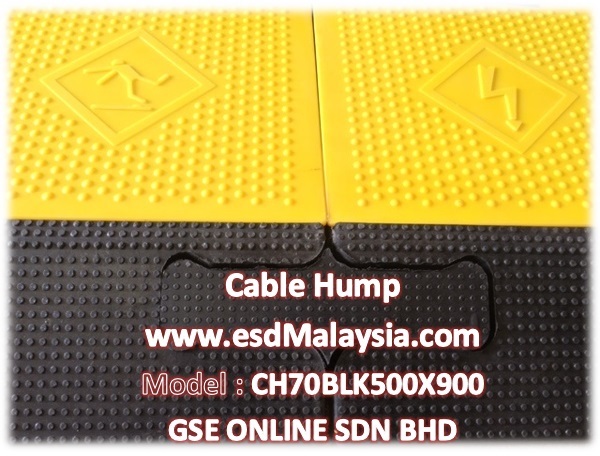 Rubber Cable humps to help provide a safe pathway over cabling. 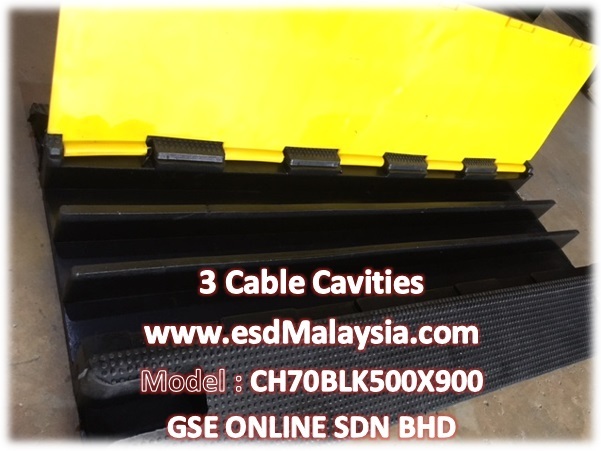 Advantages include non slip surface , with interlock design and lid fastening feature . 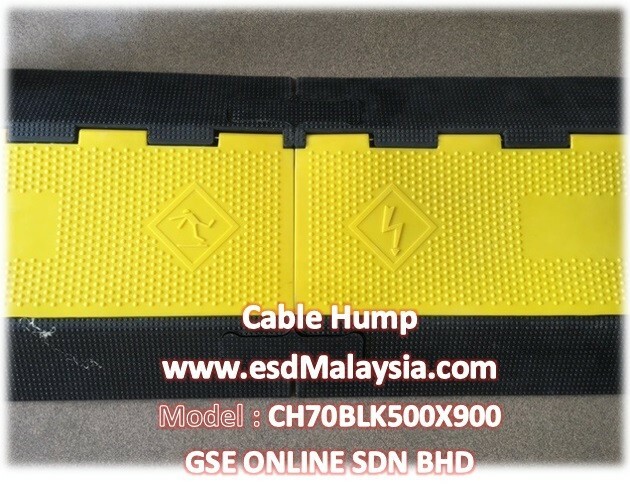 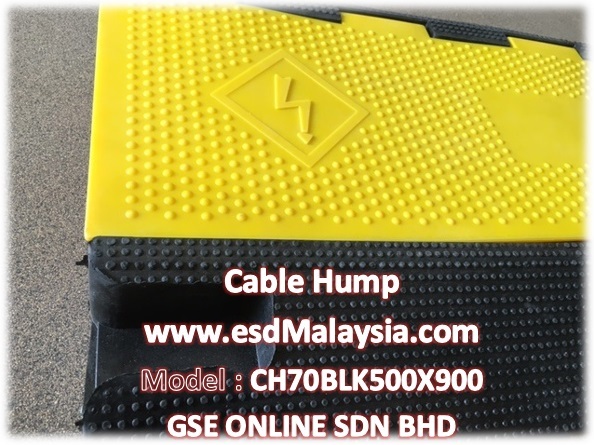 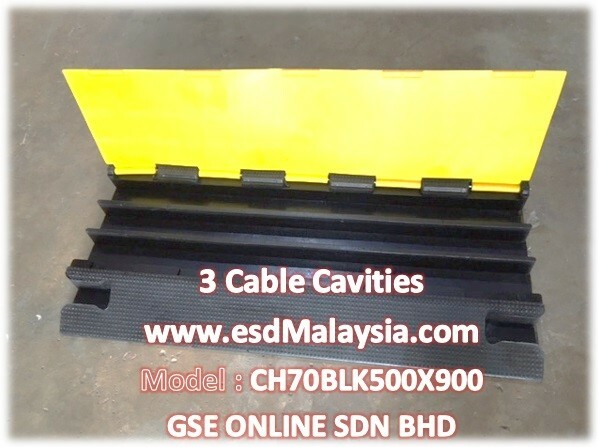 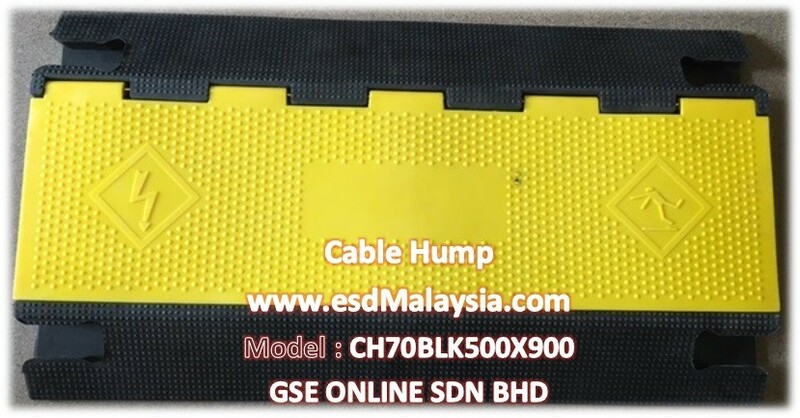 Ideal for temporary or semi-permanent applications such as construction sites, distribution depots, emergency works and road works etc. .
1) Black and highly visible yellow with tread plate surface for added traction .